Hello everyone! 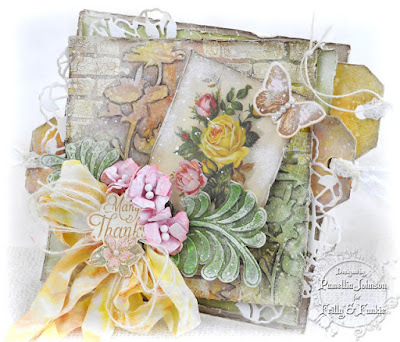 I want to say thank you to everyone that played along with my ribbon/lace/twine/trim challenge this week. We had 24 entries and they were each one beautiful! I enjoyed visiting all of your blogs and reading about your beautiful creations! If you have not checked out Pamellia's blog post you should definitely go and see all of the beautiful up close shots of this piece of art! So many layers and so much detail! 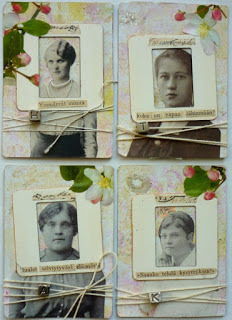 I just love these unique cards that Alice made and reading the stories to go with them! 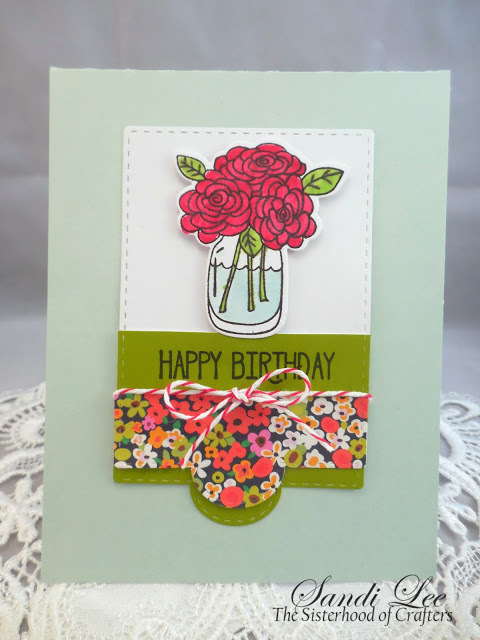 I really like Sandi Lee's clean and simple style on this card. Beautiful work, ladies! Be sure to grab your featured badge in the right side bar. Thanks again to everyone that played along with us. Be sure to check back tomorrow for a new challenge courtesy of Martha! Thank you for choosing my cards for highlights. I feel truly honored!